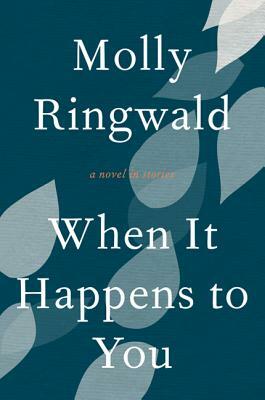 Tales of love, loss, and betrayal are at the heart of When It Happens to You, the debut story collection from actress and author Molly Ringwald. A Hollywood icon, Ringwald defined the teenage experience in the eighties in such classic films as Pretty in Pink, The Breakfast Club, and Sixteen Candles. Now the star of ABC Family’s hit series, The Secret Life of the American Teenager, and author of the bestselling memoir Getting the Pretty Back, Ringwald brings that same compelling candor she displayed in her film roles to the unforgettable characters she has created in this series of linked stories about the particular challenges, joys, and disappointments of adult relationships. Here are stories that grapple with infertility and infidelity, fame and familial discord, in a magnificent collection that will resonate broadly with readers—from fans of Melissa Banks to Meg Wolitzer to Lorrie Moore. Molly Ringwald's work in film is characterized by what the renowned New Yorker film critic Pauline Kael called her "charismatic normality." Throughout her extensive career, she has worked with such directors as Paul Mazursky, John Hughes, Cindy Sherman, and Jean-Luc Godard. Her writing has appeared in The New York Times, Parade, Esquire, and the Hartford Courant. She lives with her husband and three children in Los Angeles.